"I recommend�Collingwood Caterpillar Club�to Local Mums.�As a father of a three-year-old son who has recently started in the pre-prep at Collingwood, I was delighted to discover the Caterpillar Club on Tuesday mornings, when I have charge of my son. �He was very happy to come to the familiar surroundings of his school's Gym and delighted to discover it filled with so many enjoyable things to do and play with. �The small inflatable bouncy castle and mini ball pit were a predictable hit with an active three year old, as were the plastic ride-on vehicles. �There was also lots of scope for creative and imaginative play including building blocks, toy animals and plastic food. �For example, the other week I, and a few other carefully selected grown-ups, were treated by one of the youngsters to a splendid lunch of plastic hotdog, chops, cheese, watermelon and chips, all lovingly prepared in the toy kitchen. The craft table provides the boys and girls with an opportunity for drawing and model making, led and encouraged by one of the enthusiastic staff who are constantly on hand and attentive to the needs and safety of their charges. �While the fun is being had by the youngsters, parents and carers are able to relax with a welcome cup of tea, biscuit and a chat, secure in the knowledge that the little ones could not be in more secure and safe surroundings. �An adjective seldom associated with a play group is "relaxing", yet it is not just the adults who can relax. �The children, from babies to pre-prep, are clearly contented and happy - which is as much as one could possibly want from a play group." 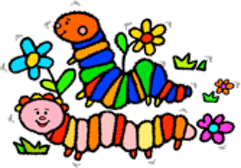 Collingwood Caterpillar Club�is a new Mother and Toddler group which opened in September 2013 at Collingwood School. �Pre-school children can have fun in a safe and friendly environment, whilst parents and carers can chat with a tea or coffee. �Juice, biscuits and fruit are provided for the children. 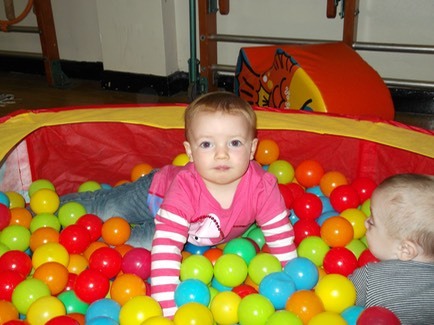 �We have a soft play area, Home Corner sponsored by Aquatots and lots of toys and games along with jolly music. �We aim to do arts and crafts once a month and will have a special event once a term (Christmas, Easter, Summer Picnic). We are a very friendly group so please come along and be part of our new exciting venture.